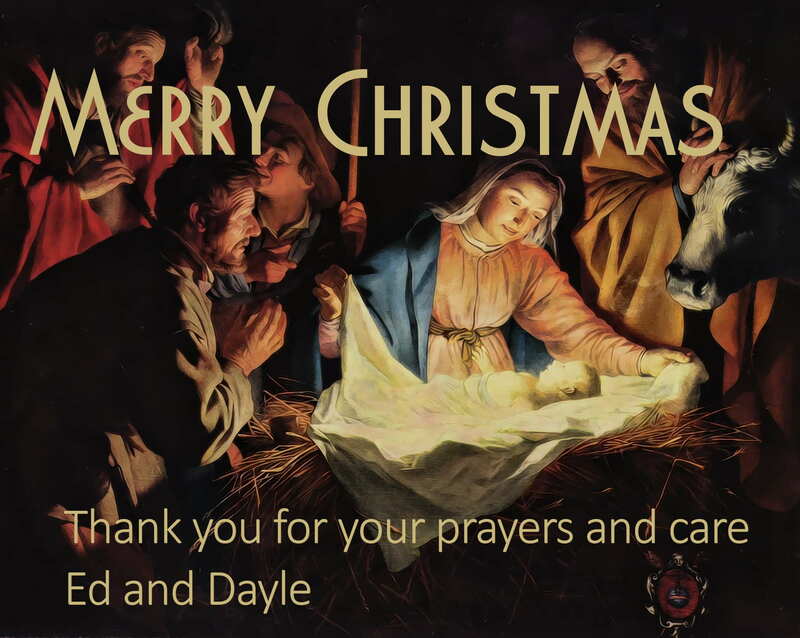 We pray you both will have a blessed Christmas. We are keeping you both and your dear family in prayer. We love you.